Q: What does Laser Cap do? 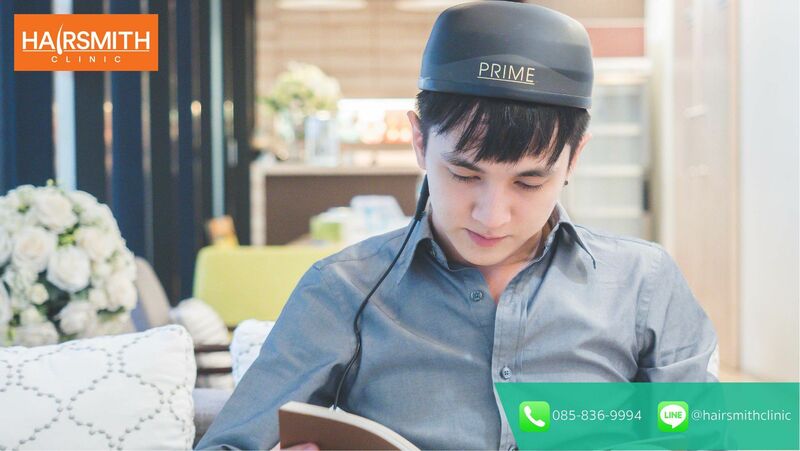 A: Laser Cap help to recover hair transplant wound, reduce redness, and increase blood circulation; so, hair follicle can get more nutrition, resulting in thicker hair diameter. Q: How often do we need to use Laser Cap? A: According to our co-research with Ramathibodi Hospital, 3 – 4 sessions of 15-20 minutes each week for 6 consecutive months can give a noticeably thicker hair. Q: Will transplanted hair still grow without a Laser Cap? A: Without either Laser Cap or medication, the transplanted hair should grow strongly and do not fall. A regular use of Laser Cap, on contrary, can help with reducing redness and speeding up the wound recovery. Q: Can Laser Cap help with a complete baldness? A: With no hair follicle, Laser Cap cannot do anything. Patience has to get hair transplanted. Q: What is the difference between Laser and LED? A: From our own research, LED does not help with thin hair, due to lack of sufficient treatment energy. Similarly, Laser treatment with too low energy will not give effective whole head results either. At Hair Smith, Laser Cap treatment is provided specially for our patients – for unlimited time and sessions – free of charge. What is shock loss? In "Dr. Prima's Blog"
Do not let freebies fool you!